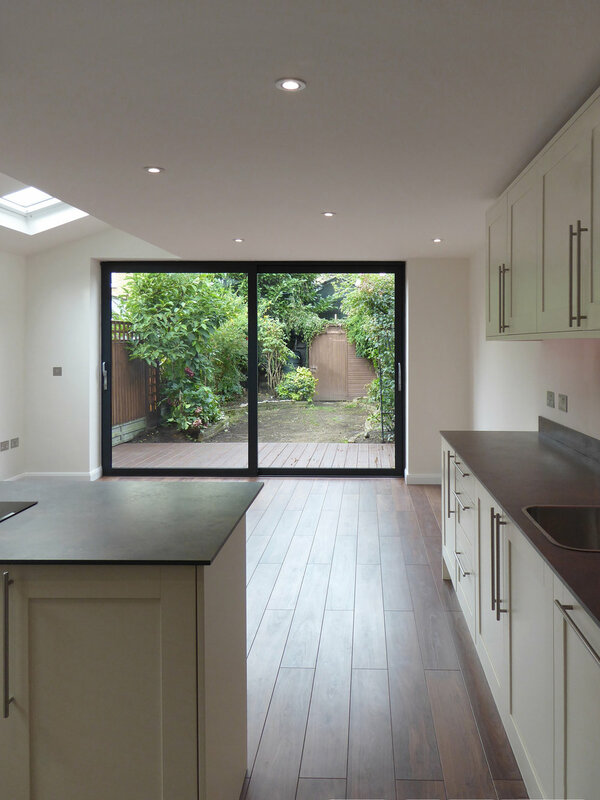 The brief involved extending and altering a traditional Victorian terraced house to create a generous living area and open plan kitchen/dining area that was open to the rear garden. The side infill replaced a disused side alley and was built using matching materials and details. The large sliding folding doors and rooflights flood the kitchen and dining area with natural light and connect the space to the outside. 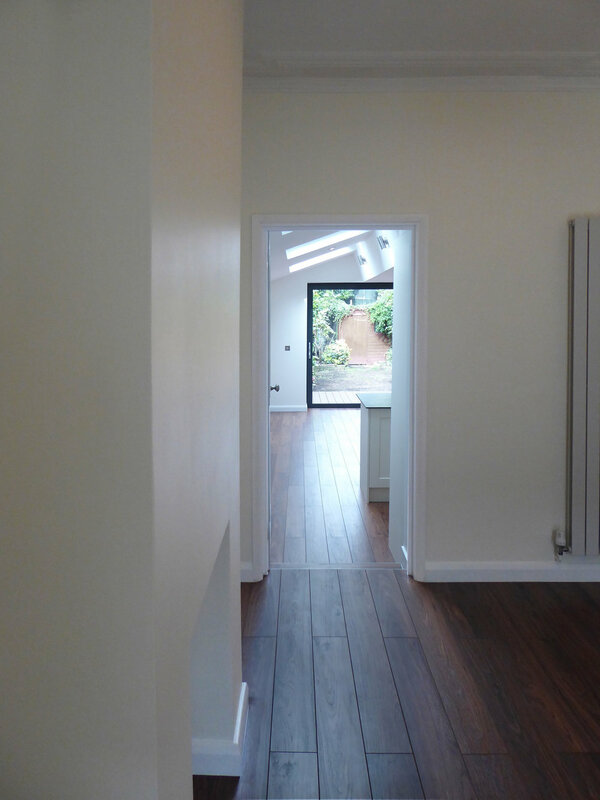 The first floor rear extensions allowed the area to be re-arranged to allow for a larger bathroom that included a free-standing bath and shower, while still retaining the typical 3 bedroom layout common in these terrace houses. The property is a traditional Victorian terraced house in the Thorburn Square Conservation Area. The client wished to extend into their side alley and revise the rear first floor bedroom and bathroom to follow the slope of roof. MTA won planning permission and proceeded with the build. The resulting open space on ground floor opens to the garden, extending the space and allowing the client to enjoy views of the garden in all weather. The project was completed recently, on time and budget. 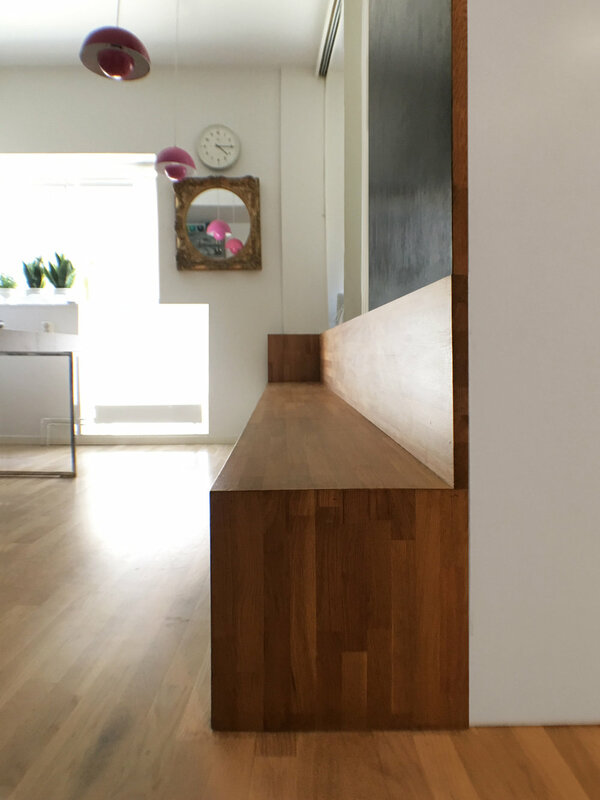 MTA have completed a refurbishment of a Stockholm Town house cleverly creating flexible space on the ground floor and re-configuring the house from 3 large bedrooms with living room and separate dining space to 4 large bedrooms with living room and separate dining and separate office space. The ground floor design was creatively subdivided with two bespoke furniture units that also enclose an office. 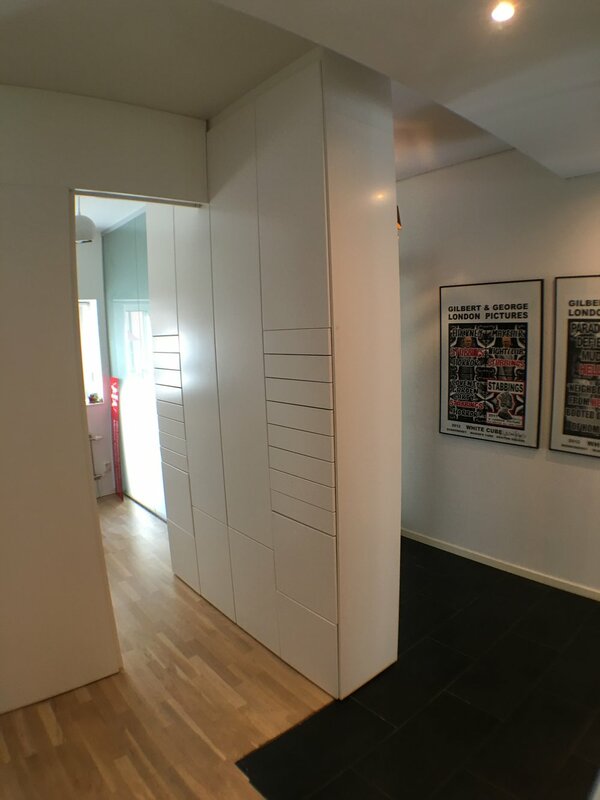 An innovative and cost effective storage unit was designed and constructed containing a throned seating area (essential in Sweden for taking your shoes/boots off and on as you come and go) surround by cupboards and drawers and also screening the entrance hall from the kitchen. 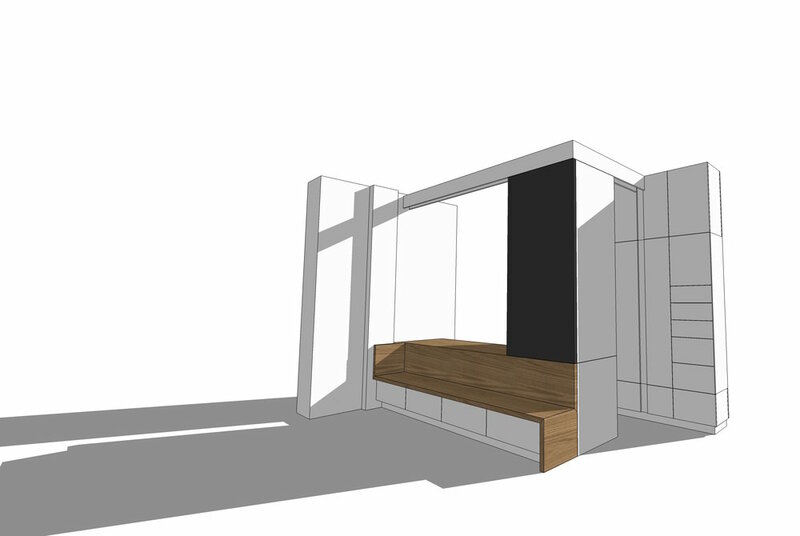 This unit was complemented by an office/dining unit, cleverly designed to contain a dining bench (with storage underneath and wine rack) that folds to become an office desk. The desk is separated from the dining room via sliding folding panels which allow the office to open into the large dining space or close into a small office space as required. The office unit also conceals a sliding door allowing the study to become fully sealed (also to double as a guest room) with the dining side coated in black magnetic paint to focus family activities and shop lists etc. The units very cost effectively made and detailed from standard Ikea units and oak work tops to create elegant and timeless dividers, complimenting ground floor of the town house. 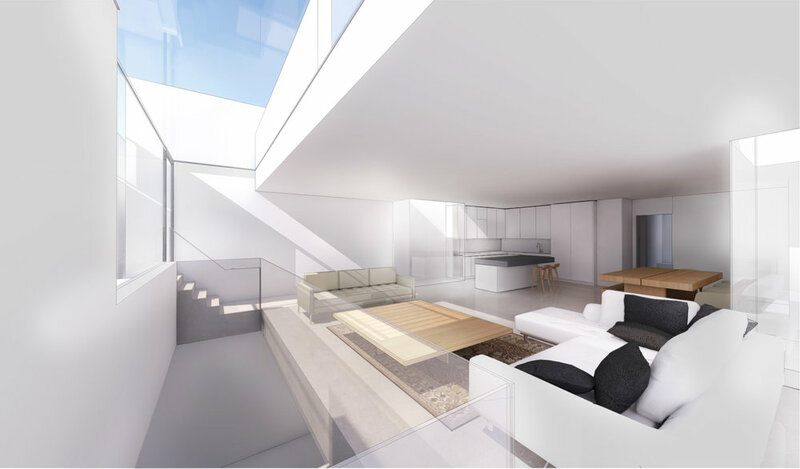 After delicate negotiations with the Southwark council conservation officers planning permission was won for a contemporary two storey structural glass rear extension. Structural glass was used to open views to the mature vegetation behind and allow light to flood into the dark rear of the house. The materials were kept to a contemporary simple palette of stainless steel and glass. The kitchen and breakfast area, although north facing, have natural light reflected through the space by the glass. 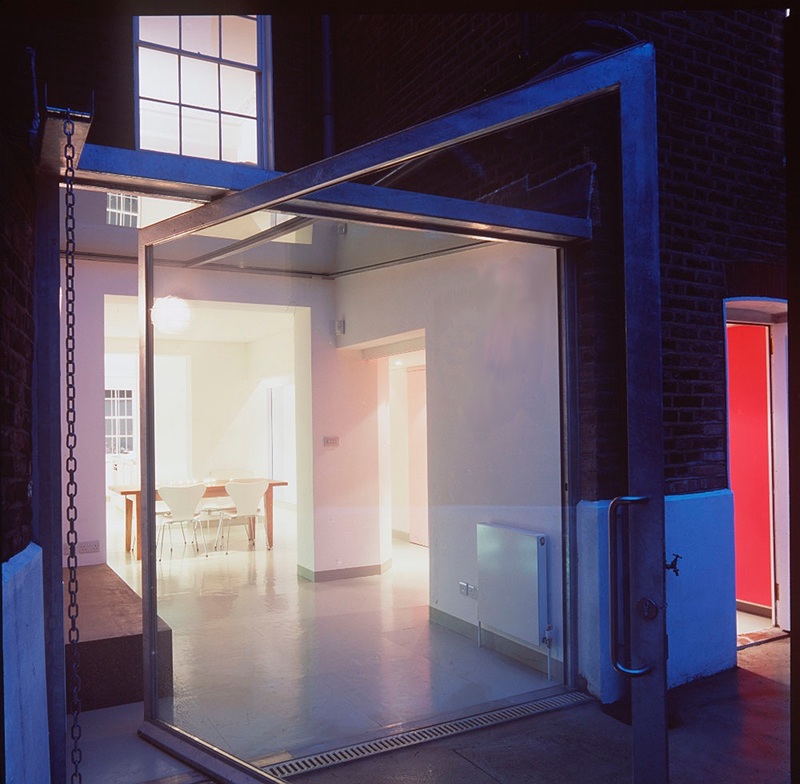 The basement was also opened to the garden via an innovative structural glass and makes a beautiful space for the client to play his harp. 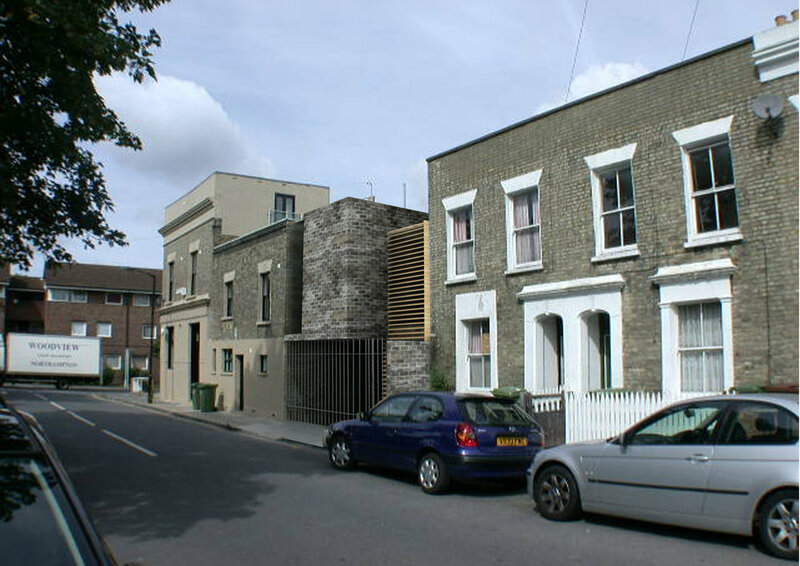 MTA won planning permission in a conservation area for a contemporary extension to an existing Victorian terrace house. The whole house was refurbished with new bathrooms. The top bathroom feature a bath being located in the dormer window. The brief involved extending and altering a traditional Victorian terraced house to create a contemporary home/office with generous living area and open plan kitchen/dining area, removing the 'boxiness' of the traditional terrace, whist retaining its character. A simple plate of materials using American black walnut veneer, concrete and glass was conceived to link and reference the spaces of the house with each other. The new contemporary ensuite bathroom was finished in concrete render with concealed cupboards in American black walnut and heated limestone ceramic tiles echo the concrete and step up to the teak deck of the walk in shower. The master bedroom links to the bathroom with built in cupboards, bespoke bed and drawer unit all in American black walnut and tailored to store the client's shoes, clothes and books. The office window was enlarged to become a 'Juliette' balcony with French windows opening to the landscaped garden below. A large desk 2400x800 was designed for the client in birch faced play with hidden ducts for cabling. The fire places in the living room were opened up to from crisp square alcoves extending the space and a continuous concrete shelf was cast to link the space through to the kitchen/dining area. A translucent door separates the dinning area from the kitchen and is back lit with green light. 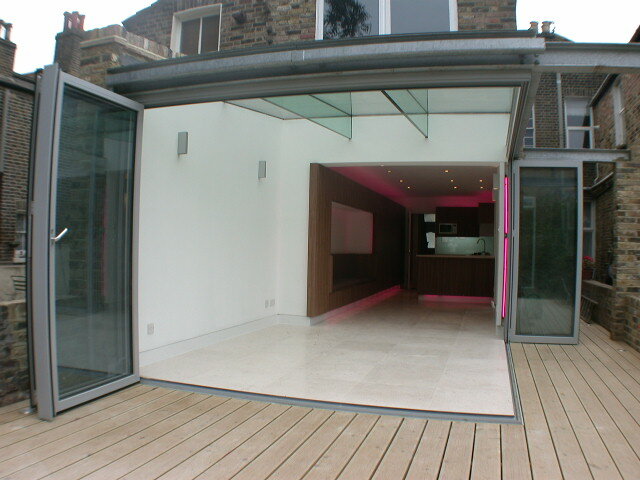 The kitchen/dining area was extended into the side return with glazing above. The work tops are cast in matching concrete with American black walnut doors and large, heated, 600x600 honed limestone pavers clad the floor. The lighting to this area is set for different scenes with green coloured strip lights above and below the units and in recessed alcoves allowing the space to dress for entertaining. Two large modern pivoting doors welcome into the rear garden decked and landscaped with recessed lighting and bamboo. The front garden was also re-designed with bamboo, white gravel and recessed lighting with the entrance paved in the same honed limestone welcoming the visit up to the house. 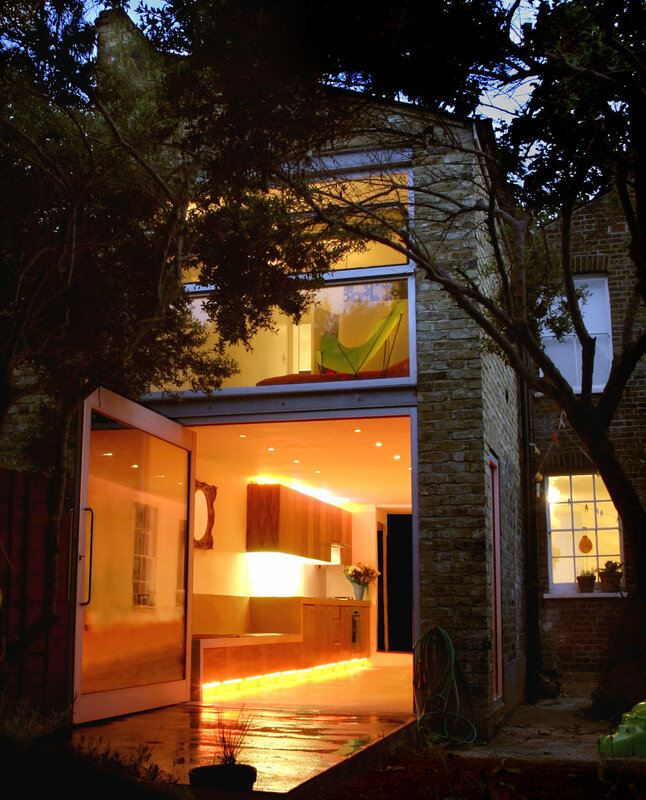 MTA were approached to design a contemporary extension to a grade two listed Georgian terraced house in a conservation area behind the Imperial War Museum, Southwark. After positive discussions with the conservation department at Southwark grade two listed building consent and Planning permission was won for a modern contemporary extension to the house. It was agreed with the council that to ‘pastiche’ the existing house with a period copy extension was not the correct way forward. A contemporary design was developed reinterpreting the Georgian spirit and elegance in an innovative extension, separated from the main house by structural glass slot and enhancing the existing dwelling with another layer of heritage. 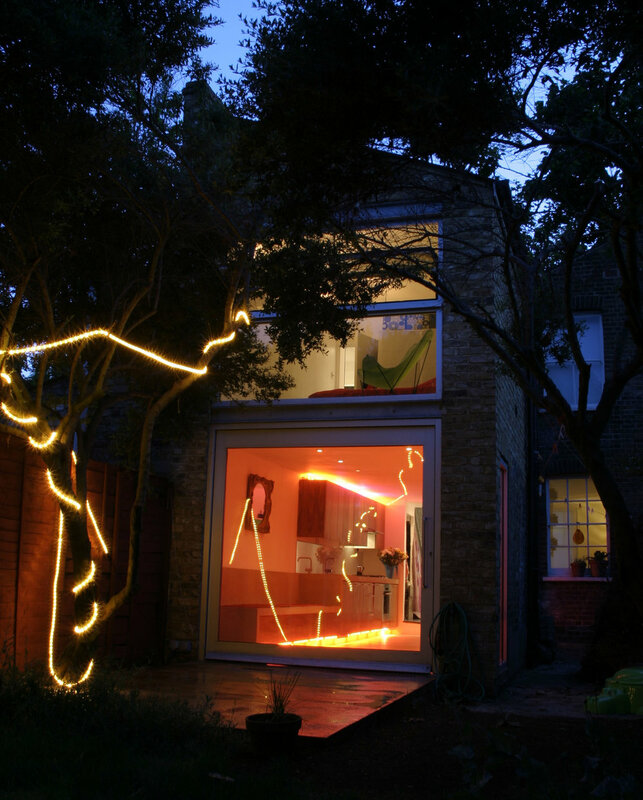 The main works concerned the basement where a contemporary open plan living area was created, flooding the space in natural light and allowing what was a dark area, constantly lit with artificial light, to breath. The upper floors were refurbished keeping the traditional layouts to respect the character of the house, with a contemporary ensuite bathroom to the main bedroom clad in painted glass – painted to match the leaves of the acacia tree in the garden. The extension was designed with a solid terraced roof, separated from the ground and rear wall of the house by structural glass allowing it to float. The basement was finished with limestone, parapan and basalt with a new light weight stair hanging down from the ground floor allowing light to pass through it. Folding sliding doors open into the garden allow the views and light to be maximised. MTA were approached to renovate at existing 2 bedroom ware house conversion. 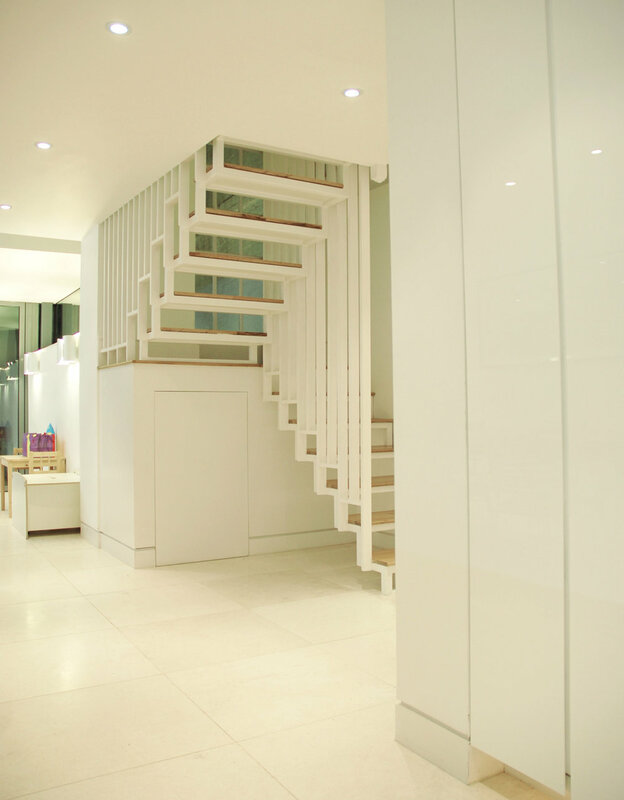 An elegant design was developed removing the partitions on the first floor fully opening the space up, further enhanced by structural glass balustrades and limed oak floor. A new staircase was installed to ‘float’ in the hallway allowing light from the first floor to flood down and through the treads. All the bathrooms were elegantly detailed in grey travertine and black walnut to provide a warm and contemporary finish. MTA were approached to remodel two flats to create a single large flat. We carefully design the living spaces to open onto view of Battersea Park, with the bedrooms located towards the courtyard behind. The brief involved extending and altering a Victorian terraced house in conservation area. After detailed negotiations with Southwark Planning and conservation, permission was granted for a contemporary extension. Traditional British terraced houses have an amazing unique asset - the garden. But in this case there was an external WC between the garden and house, which about sums it up. Opening the house to the garden by floor to ceiling windows to the ground and first floor extension enabled the house to flow into the garden and benefit form sunlight and views of the natural world - allowing the house to breath. The internal spaces were also opened to flow into one another and form new relationships and uses whilst retaining the innate character of the house. The new contemporary kitchen & dinning areas are linked by an innovative continuous in-situ concrete surface that begins as a counter top and ends in a bench. The under heated polished concrete floor in the kitchen/dining room is continued into the garden. The bathroom was relocated to form a transition space, with the possibility of expanding into the corridor. All the chimney places were opened to further extend each space, making a contemporary expression of a traditional feature. After complicated and lengthy negotiations with Lambeth Council, MTA won planning permission for a two storey side extension, two large roof dormers and full width rear extension to a detached house in Tulse hill. 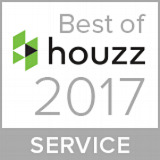 The house was fully refurbished with new heating (including two large solar panels and underfloor heating) and electrics. The new side extension and dormers are designed to match the existing Victorian character of the house whilst the rear extension to the garden is contemporary, creating an effortless open plan area opening to the large garden and mature tree line behind. A crafted zinc roof to the rear garden is complimented with seamless roof lights providing light to the rear rooms of the house whilst controlling direct sunlight. The utility area has a ‘mud’ zone and the garage contains a new underground spiral wine cellar. Modern bathrooms finished in limestone porcelain tiles reflect continue the contemporary theme the master with the ensuite bathroom finished in large slabs of St Aubin limestone, creating an elegant, calm natural space. Detailed and complex negotiations were held with Southwark planners to win planning permission for a contemporary three storey rear extension and infill to a row of Georgian terraced houses on the edge of the Trinity Church Square Conservation Area. To respect the privacy of the neighbours no windows were located in the flank wall. Full height modern sliding windows were located on the rear elevation, flooding the new bedrooms and kitchen with light with full height sandblasted windows on the street elevation, lighting the bathrooms. The two storey flank wall was clad in black dimply plastic sheeting to give visual interest and excitement to this large opaque plane and contrast with the flush jointed black engineering bricks, forming the front and back walls. The new contemporary basement opens onto a lower terrace via folding sliding windows that allow the living room and dinning rooms to extend into the garden. Large marble slabs finish the basement floor and are used for the bathrooms walls and floors. The existing house was completely refurbished with new electrics, audiovisual and data installations and a new contemporary stair case. Built in cupboards were incorporated to the bathrooms and main bedrooms with well detailed flush, recessed handles. 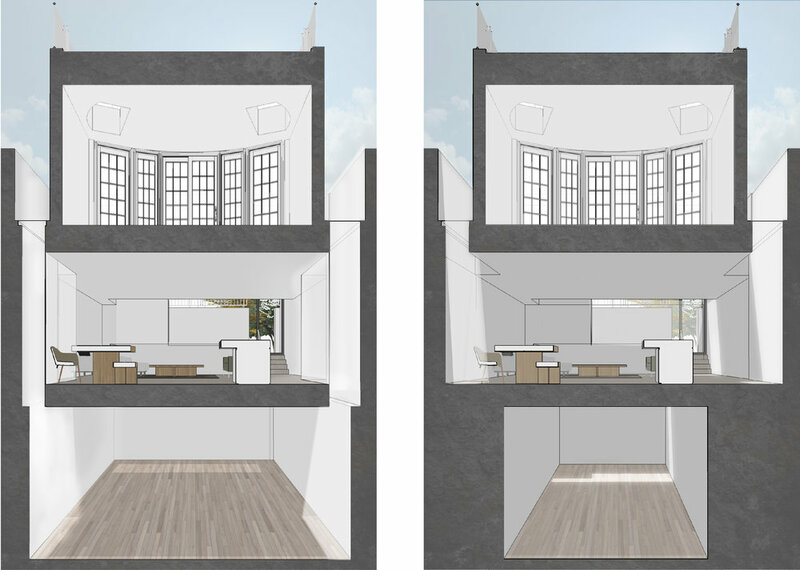 MTA won planning permission for a ground floor and full basement extension next to the Knightsbridge conservation area. 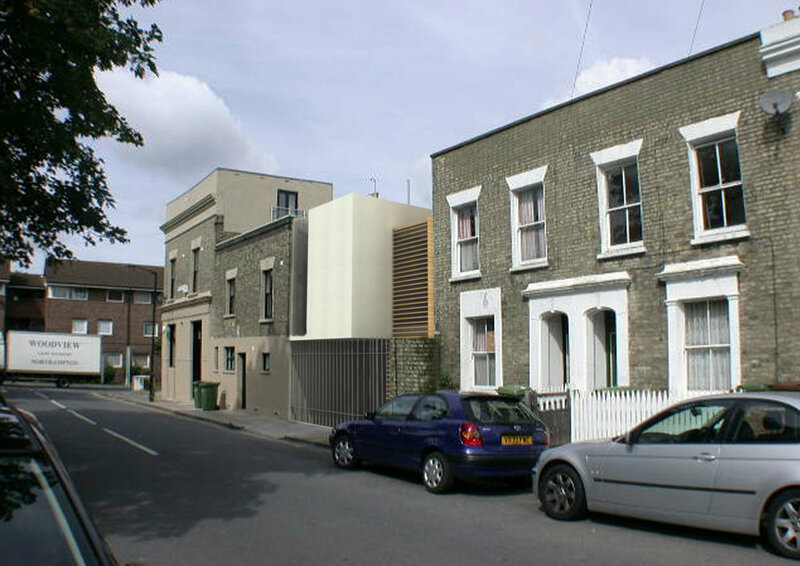 MTA won planning permission for a contemporary new build dwelling for a musician in a conservation area in Lewisham. The brief involved providing a contemporary one/two bed dwelling in a vacant gap to an existing Victorian Terrace. The site is limited in size being a ‘wedge shape’. The house occupies the basement and ground levels, hiding behind the existing street wall. The circulation is designed to follow the old Kent, Surrey boundary that previously defined the site. The existing gap in the terrace is maintained and a concrete wall along the boundary is proposed with structural glass openings in the roof and rear and front elevations. Vertical timber louvers and slots are proposed to the front side and rear which represent a musical theme and rhythm. The innovative internal layouts are arranged around the client’s grand piano, providing space for the client to make music with friends and entertain. A triple double height void is proposed at the rear linking the spaces together and to provide privacy by reducing overlooking into the neighbours garden. Planning permission was won in the Nunhead conservation area for a contemporary extension to a small 1 bed house to create a 2 bed house. The existing layout of the house was restricted with a lack of ceiling height to the main bedroom. We presented the planners with a new innovative and contemporary proposal to fill the ‘missing tooth’ of the terrace with an extension overlooking Sturdy Road Park. MTA were approached to design a contemporary extension to a grade two listed detached house in the Costwolds village of Blockley. After positive discussions with the Cotswolds council conservation department, grade two listed building consent and Planning permission was won for a contemporary extension to the house. A contemporary design was developed to unify the rear of the house and replace a poor 1950’s extension and 1960’s lean too shed. The design opens the rear of the house to the garden and is centred on the kitchen space allowing the client to prepare food whilst having eye contact with her two children either playing in the external courtyard or kids room. 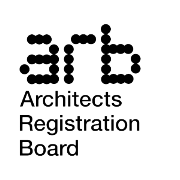 MTA won planning permission for an extension to a large detached property in the Woodford Broadway Conservation Area in the London Borough of Redbridge. Planning and Grade Two Listed building consent were won for an extension and renovation of a Georgian terraced house in Primrose Hill. The basement space was lined with an inhabited wall beginning one end in red and colour fading to blue at the other, each panel changing. The kitchen was finished in birch faced ply with stainless steel. MTA were approached to re-design the interior and rear of an existing Victorian terraced house. The kitchen, lobby and dinning area were extended into one space and into the garden with timber double doors, bathing the previously dark dingy kitchen in dabbled, direct, sunlight. The built in kitchen is detailed with no handles only recessed pockets finished in the same white as the doors. This extends the space and enables the kitchen to disappear into the wall as a piece of built in furniture rather than insisting on its presence. The glazed splash back also helps to extend the space and suggest a window into another room. The first floor was reorganised to maximise the useable space. The poky third bedroom & tortured bathroom were re-organised to create a generous doubled bedroom flooded with sunlight light from a mega sash window (spanning floor to ceiling and wall to wall). The bathroom was rationalised and lit via a roof light, allowing the client to plane spot, while having a shower. The bedroom is now opened to view of the high street and park trees and using the traditional element of the sash window in a contemporary has created a unique magnificent space, in keeping with the building's character.